Hickory Smoked Turkey by Chris N.
Create enough so turkey is submerged. Smoke with hickory wood until the internal temp is 175°F-178°F. You'll never do it any other way. I use stockinettes to hold it together for presentation. I hooked it up like a BOSS in my SmokinTex 1400." 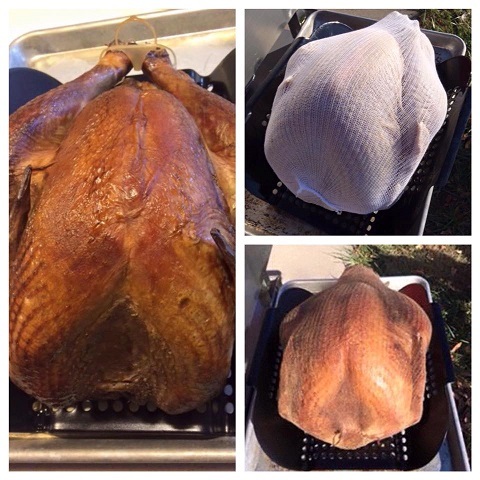 Chris used his SmokinTex Turkey Tray for easier carrying.